Among the most important decisions a business owner or entrepreneur can make is determining what business entity best suits their needs. This decision can affect how much you pay in taxes, the amount of paperwork that you will need to do, your own personal liability, and your ability to raise capital by issuing stock. Additionally, some business formations require certain formalities in order to be in compliance with state and federal law. Of course, every business is different, and what may be an appropriate business entity for one venture may be completely inappropriate for another. Business ventures that anticipate rapid growth or are formed with the intention of being acquired by another company may choose an entity type that may be unnecessarily onerous at startup but allow growth and compliance with federal securities laws, preempting the need for a potentially costly reorganization down the road. For these and other reasons, it is best for anyone considering forming a business entity to discuss their goals and options with an experienced Silicon Valley business lawyer before filing any paperwork with the state. Sole Proprietorships – A sole proprietorship is perhaps the most common type of business that exists today, and many people may own one without knowing it. Sole proprietors are simply individuals who engage in some sort of business venture for themselves. 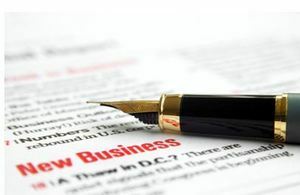 There are no filing requirements to start a sole proprietorship, and they may even do business under an assumed name if they choose to file a fictitious name with the state. One of the main drawbacks of sole proprietorships is that the owner can be held personally liable for all obligations incurred by the business. Partnerships – A partnership involves two or more people who work together in a common enterprise and share in the profits and losses of that enterprise. Like sole proprietorships, partnerships can be formed without any state filings, and can actually be formed with a simple oral agreement. In some cases, a court may even determine the existence of a partnership even in the absence of an agreement. All partners are jointly and severally liable for the financial obligations of the partnership and profits or losses pass through to the partners for the purposes of taxation. Corporations – A corporation is a legal entity separate from its owners created to conduct business. Because it is a separate entity, a corporation has the benefit of shielding its owners from personal liability for the debts or other obligations incurred by the corporation. One of the main disadvantages of a corporation is the legal requirements associated with formation and ongoing operations, which make them better suited to large, well-established businesses. Limited Liability Companies – Limited Liability Companies are a relatively new business formation favored by many startups and small businesses because they combine the flexibility of partnerships with the liability protection of corporations. An LLC has the same limited personal liability as a corporation that is provided by state law and gets treated as a Partnership for Federal tax law purposes. Choosing a business formation can be a complicated decision with far-reaching implications on the success and operation of your business. If you have any questions at all regarding business formation or any other matter related to business law, the skilled lawyers at Structure Law Group can help you. Please do not hesitate to call us today at (408) 441-7500 for assistance today.